What a riotous mess! This time last year my pond had been totally trashed by a neighbor’s black lab. Consequently an established plant was pulverized, and I chose to replace it with the water poppy. As you can see in the above photo, our extremely hot summer has not deterred it and the lemon bacopa from more than doubling in size, and that’s after they both had died back to their root balls last winter. I took this photo just before cleaning the filter box and pump, because I knew that in the process I would probably destroy the overgrown look. I know my three little fish appreciate the shelter and protection that the foliage provides, but this makes it difficult for me to perform my daily fin count. Fortunately meal time brings them up to the surface. Hi, I just found this beautiful picture of your pond after doing some search for water poppies. Do you recall what variety the bacopa plant is? Is it a water plant and grow in the water or is it planted in the dirt outside the pond? I notice it has pretty small blue flowers. I love how the two plants look together and would like to duplicate it in the small pond that Ive just put in. Thank you for the help. Its common name is Lemon Bacopa. It should be planted and submerged in water. It can grow outside water if the soil is super boggy (soggy wet). When you crush the leaves they give out a wonderful lemon smell. Im am really sorry for not responding until now. Thank you very much for the information! I had done a little more research before hearing back from you and found the plant you are talking about. I still wasnt sure if that was the one though until I read what you had to say about it. Ive purchased the water poppy. It appears to be very new here in England. I came across it on Ebay recently and it was being sold by only one person there. 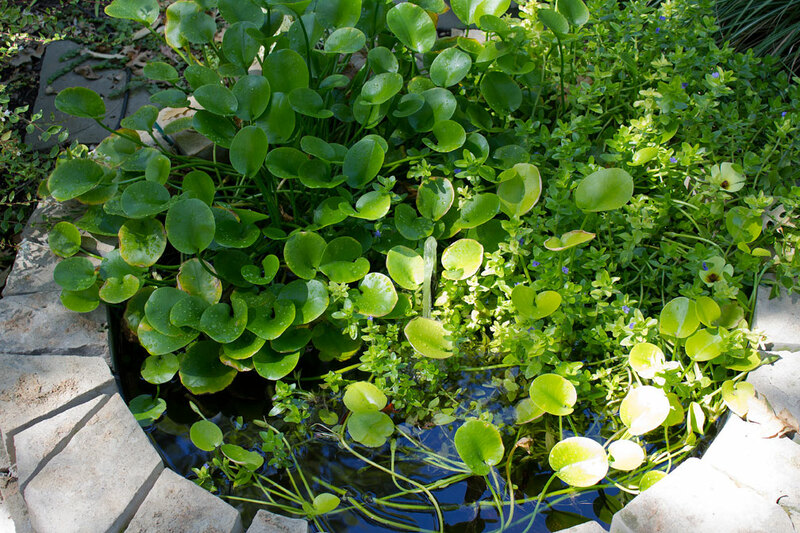 I hope to buy the bacopa plant too : ) Looking forward to having a pretty pond soon! Thank you for your time!